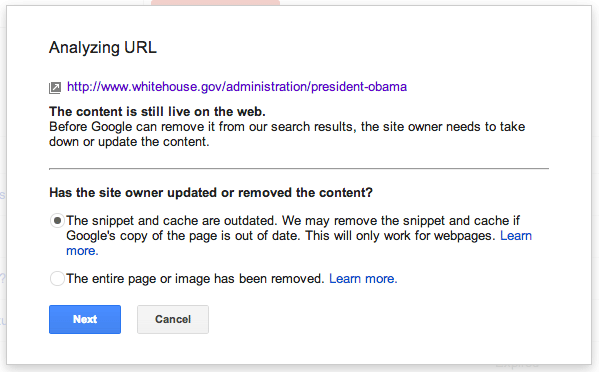 Google has updated their URL removal tool to make it easier and smarter to remove content specifically from third-party web sites. Google told us at Search Engine Land specifically that the tool is smarter by analyzing the content of the URL you submitted and letting you know what options you have based on the details of the cache result, search results and the actual live page. You can remove complete pages if the page is actually not live or blocked to spiders. 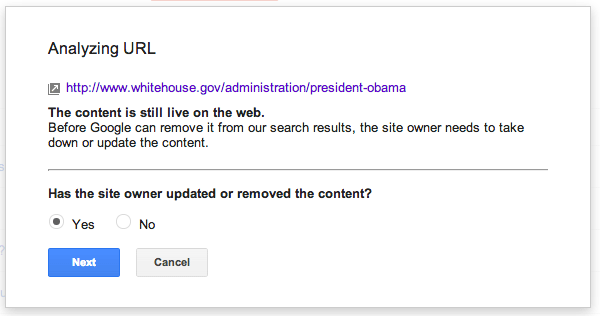 You can remove content from a page if the content shows in the Google cache and is not live on the page. This makes technical SEO aspect even more important, so that your site is not exposed to URL removal requests from the third party. 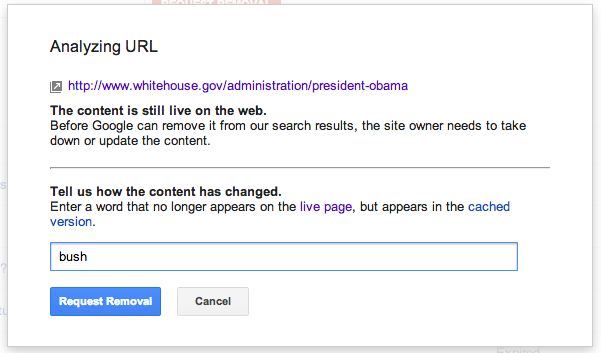 Previous story: Updated: Did The Authorship Reduction In Google Begin? Yes.